Snoke's elite guards, Ahch-To's cute critters, and more come to the augmented-reality platform. 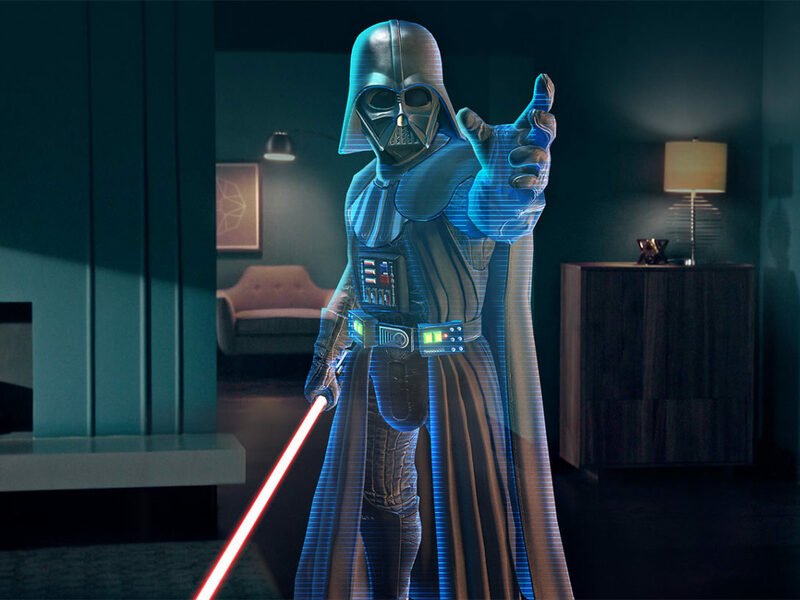 Unless you’ve spent the last few months frozen in carbonite, you might be familiar with Star Wars: Jedi Challenges, the augmented reality experience that lets you go toe-to-toe against Darth Vader in the comfort of your living room. 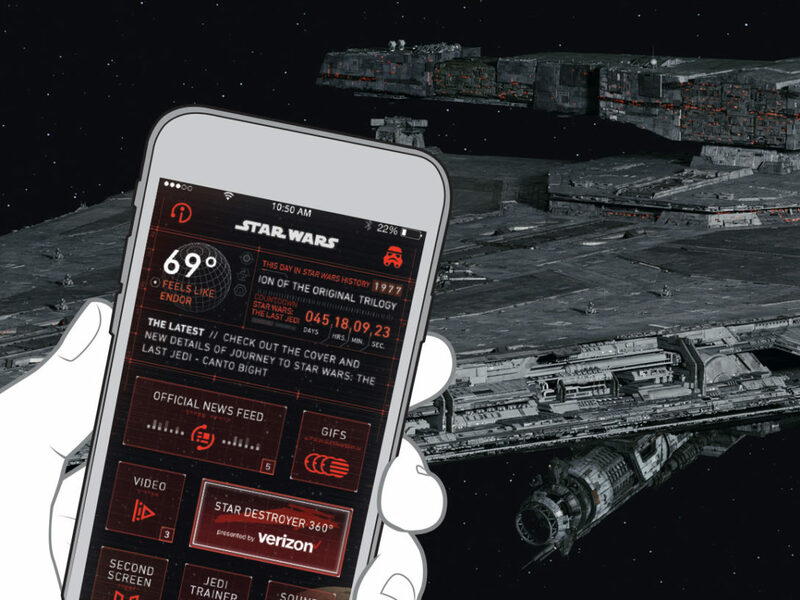 Using the combined power of a compatible smartphone — running the Jedi Challenges’ app — and an included AR headset, lightsaber controller, and tracking beacon, the platform allows fans to clash virtual blades with iconic dark side champions, as well as play holochess, and command forces in real-time strategy battles. Released last November, the game sets the aforementioned action on five planets — Naboo, Garel, Lothal, Hoth, and Takodana — but a recent update also adds Crait to the galaxy’s map. As you might imagine, the mineral planet’s inclusion brings with it plenty of cool content inspired by Star Wars: The Last Jedi. 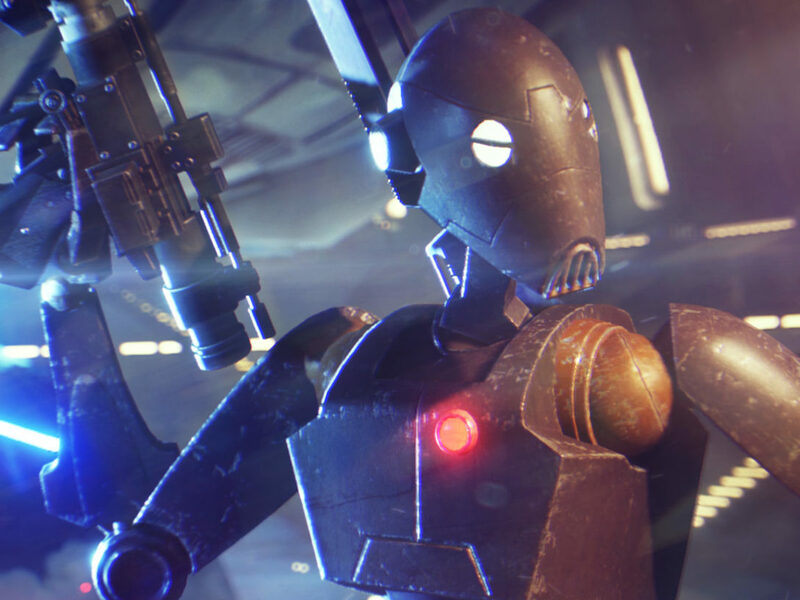 From fighting a pair of Praetorian Guards to interacting with porgs, here’s five reasons fans will want to fire up their lightsabers for the free update. 1. Duel like a Jedi. 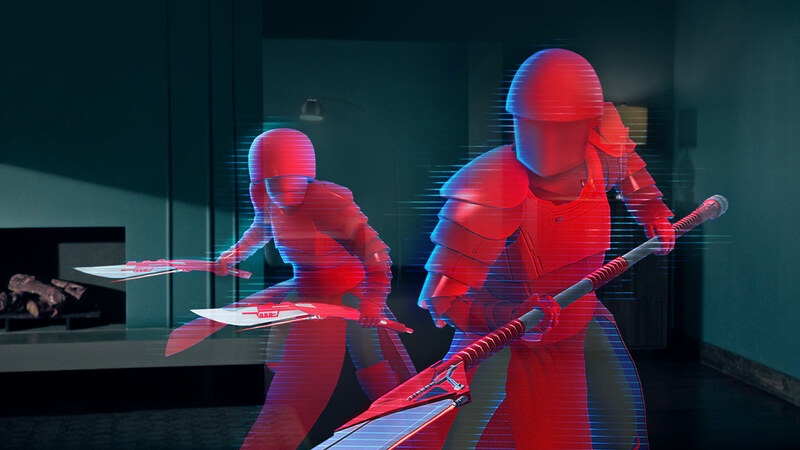 The update’s premier encounter is an epic duel against two Praetorian Guards. While Jedi Challenges previously pitted players against the menacing likes of Darth Maul, the Seventh Sister, the Grand Inquisitor, Darth Vader, and Kylo Ren, this is the first time it’s tested our dueling skills against two threats simultaneously. More than just an opportunity to trade blows with two of Snoke’s personal protectors, the battle truly allows fans to let the leash off their previously-learned skills. Where the other duels slowly introduced a variety of defensive moves, this latest bout keeps you on your toes by mixing them all together. 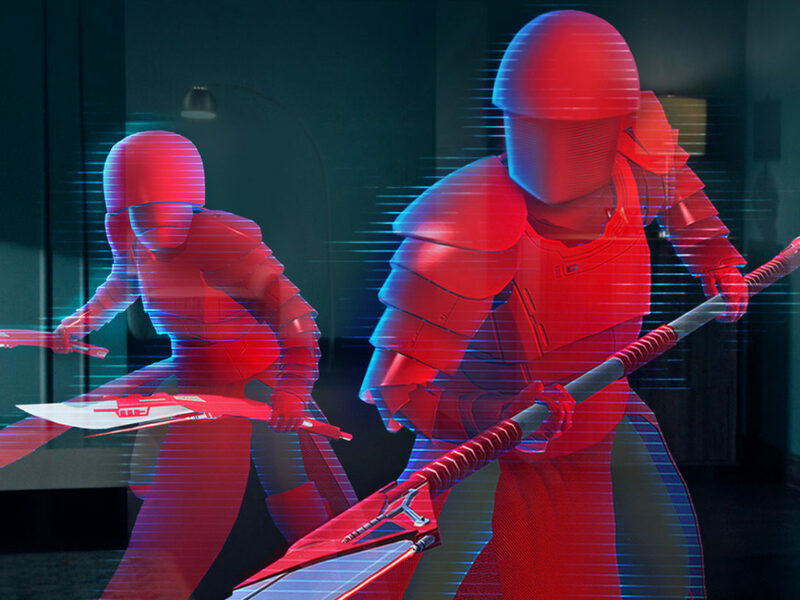 Brandishing their unique melee weapons, these crimson armor-clad elite guards’ sophisticated maneuvers will see you quickly alternating your attacks with evasive ducks, dodges in both directions, and other slick moves that’d make Rey proud. Of course, before you’re allowed to test your skills against Snoke’s tag-teaming guards, you’ll have to prove yourself against some lesser threats. “Lesser” is a relative term, however, as the two challenges preceding the Praetorian Guards duel offers much more than simple lightsaber fodder. 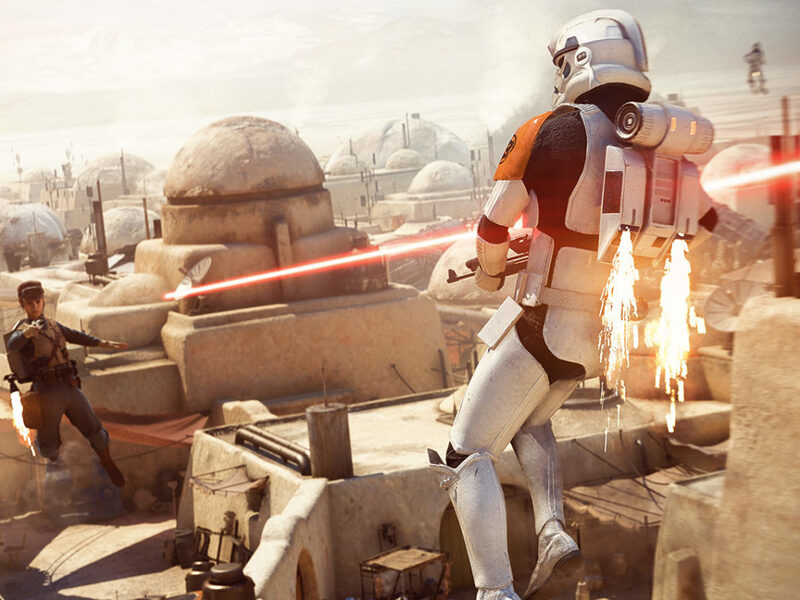 While you’ll certainly have the opportunity to singe the armor of rank-and-file First Order stormtroopers, these earlier encounters also pit you against the more capable executioner and riot-control variations. Wielding laser axes and riot control batons, respectively, the formidable threats pack quite a punch. Toss in the fact the latter’s over-sized shield absorbs lots of your lightsaber damage, and you can plan on breaking a sweat against these specialized First Order foes. 3. Boots on the ground. Jedi Challenges’ duels might be the platform’s main attraction, but its three-dimensional strategic combat challenges are equally entertaining. Unfolding right at your feet, the augmented reality skirmishes essentially turn living room floors into living, breathing battlefields. Previous encounters in Strategic Combat mode saw players commanding their tiny units in battles staged on the five aforementioned planets, but The Last Jedi update appropriately transports them to Crait. More specifically, the skirmish sees them reliving some memorable moments from the film’s epic finale. Taking place outside the enormous door of the mineral planet’s Resistance base, the battle tasks fans with not only defending the stronghold, but also rescuing a pilot whose ski speeder’s seen better days. 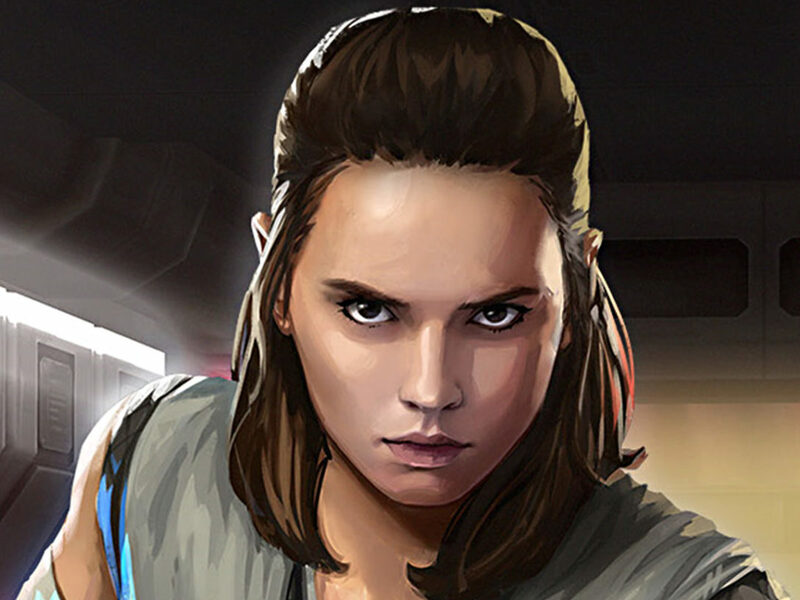 Strategically using new units, like Resistance bombers and Rey herself, fans face seemingly insurmountable odds in what is Jedi Challenges‘ arguably best battle. Like the game’s other 3D strategic conflicts, the Battle of Crait is separated into a trio of increasingly challenging encounters. The first two more than test your mettle, as you become comfortable commanding the new units and facing a barrage of First Order soldiers, ground-based vehicles, and ships. But it’s the third act that might have you calling your leadership skills into question. 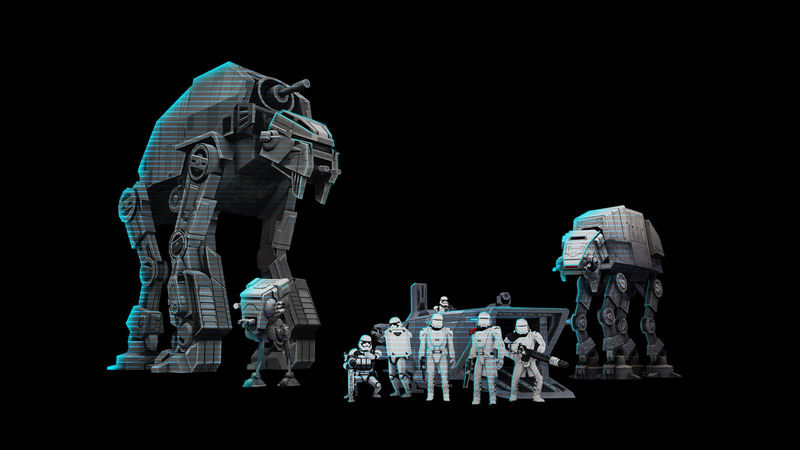 Players might be tempted to take a breath upon bringing multiple AT-ATs to their knees, but not so fast. Just when you think the First Order’s about to fold, they bring out the big guns, literally, unleashing the massive AT-M6 walker. While you’ve no doubt marveled at this metallic beast in the film, there’s nothing like seeing it stomp through your home in augmented reality. Dwarfing the other walkers, the towering threat impressively stretches from floor to ceiling. Don’t be surprised if you instinctively brace for impact upon this titan’s defeat. Your reward for putting the Praetorian Guards in their place and reducing the AT-M6 to a smoking husk of twisted metal is a getaway to a private island — with porgs. That’s right, completing the update’s challenges unlocks a small island occupied by a family of the fan-favorite creatures. 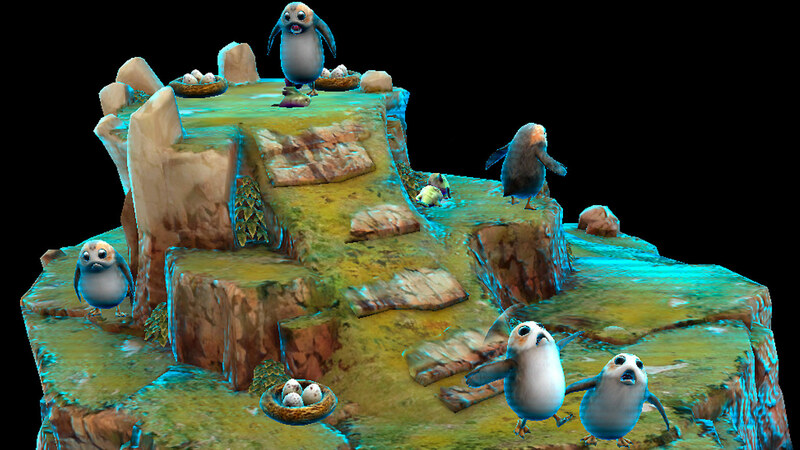 Surrounded by nests of yet-to-be-hatched porgs, five of the furry friends vie for your affection by flapping their wings, squawking, and generally being adorable. You can return the favor by interacting with the new companions; using Jedi Challenges’ lightsaber controller, you can equip and toss fish at the hungry porgs, who enthusiastically gobble them up. 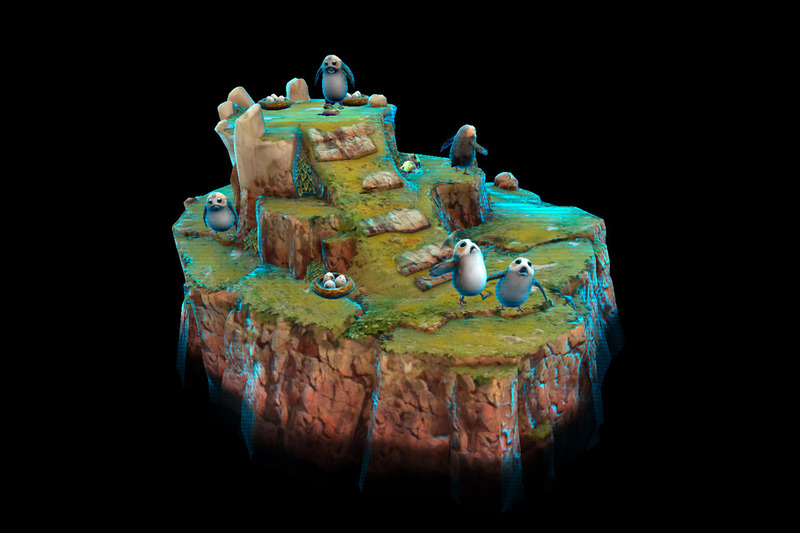 A nice reprieve — and reward — these porgs just might be the content update’s most fan-pleasing inclusion. Whether you’re looking to show Snoke’s underlings the business end of your blade or just want to hang out with the cutest creatures in the galaxy, Jedi Challenges’ free update — available now — has something for Star Wars fans of all stripes. For more on Jedi Challenges’ The Last Jedi update, read our interview with the game’s managing producer. Hailing from Lizzie Borden’s hometown, Matt Cabral is a full-time writer who’s been a fan of the galaxy far, far away since seeing the sci-fi saga’s first film on a stormy night in 1977 at a drive-in. Feel free to follow him on Twitter @gamegoat.